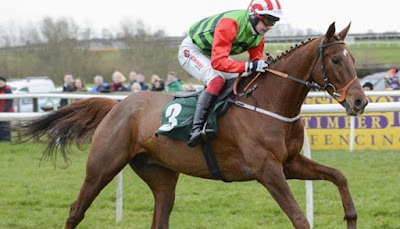 Definitly Red displayed his credentials for the Grand National with a brilliant performance to win the Cotswold Chase. The Irish horse was considered an outsider for the event but rose to the occasion to deliver a comfortable victory at Cheltenham Racecourse. The nine-year-old competed at the Grand National last year but failed to finish the race, pulling up at the ninth fence. 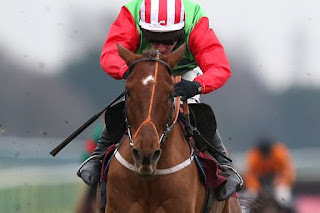 However, he has rounded into form since the disappointment and is considered one of the leading contenders to claim the victory among leading bookmakers with Oddschecker for the meet at Aintree. Definitly Red has not had the best history at major events. In his first outing at the Cheltenham Festival, he could only muster a seventh-place finish at the Champion Bumper. Brian Ellison’s charge returned to the competition the following season and was an outsider contender for the Albert Bartlett Novices' Hurdle, only to pull up before the final fence. Cheltenham proved not to be a happy hunting ground for the chestnut gelding. He competed in The National Hunt Chase Challenge Cup in 2016 in a talented field. However, the Irish horse failed to find his rhythm with Sam Waley-Cohen in the saddle before he fell at the penultimate hurdle. He was able to bounce back from his disappointment by registering a win at the Hillhouse Quarry Handicap Chase to end the 2015-16 season on a high note. 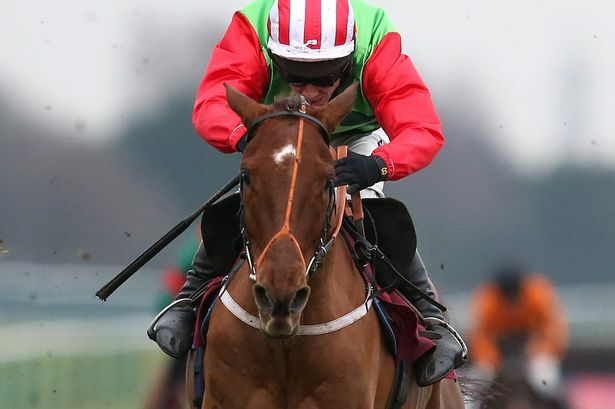 Ellison’s charge started the new campaign with another victory at the Handicap Hurdle in Carlisle. Definitly Red continued to impress in the 2016-17 season and was able to record a victory on Boxing Day at Wetherby Racecourse. He surged through the field with Henry Brooke in the saddle to win the Rowland Meyrick Handicap Chase by seven lengths, defeating Blaklion in the process. However, the chestnut gelding’s inconsistencies were on display again in his next performance, unseating Brooke in the Peter Marsh Handicap Chase three fences from the end of the race at Haydock Park. The Irish horse bounced back with a fantastic display in the final race before the Grand National. He dominated a talented field to claim victory at the Grimthorpe Handicap Chase, finishing ahead of his compatriot and race favourite The Last Samuri by 14 lengths, cantering down the final stretch. Ellison’s charge failed to rise to the occasion at Aintree, pulling up at Valentine’s fence. The nine-year-old returned to action in the Charlie Hall Chase but was not on form. He finished in third place, although he was well off the pace of Bristol De Mai, who claimed the win at Wetherby. Definitly Red responded with a brilliant performance at the Many Clouds Chase at the beginning of December last year. He was considered the joint-favourite with Cloudy Dream but had too much pace for his compatriot, securing the victory by seven lengths. Ellison’s charge put his problems to Cheltenham aside with his best performance to date last month. With Danny Cook in the saddle, he rose to the occasion to dominate the rest of the field to win the Cotswold Chase by eight lengths ahead of French horse American. That sort of performance may be enough to deliver victory at Aintree in April.